According to a 2017 poll, an estimated 51 percent of U.S. consumers say they would refuse to do business with a company if they endured repeated poor customer service. To say this is an anomaly, however, would be specious at best. Still, with this figure representing more than half of all American consumers, it’s safe to say customer service is an important aspect of modern business. On the other hand, not all companies have the means to staff their own customer service department and must rely on third-party providers to respond to customer questions and complaints. When contemplating whether to outsource customer support, quality is often a concern. But much like internal practices, there are certain aspects to follow and others to avoid. Entrepreneurs looking to cut costs via outsourcing should know if it’s the right move and should look to adopt some best practices to ensure customers have solid brand experiences. Is Outsourcing Customer Service Right for You? If you’re looking to outsource customer service duties, you’ll need to find a reliable provider. In other words, you need a trusted partner. When considering candidates, look for a company with which you can develop a long-term relationship and shares values that align with those of your company. In particular, a legitimate partner will understand your customers are now their clients and that each touchpoint represents an opportunity to knock it out of the park by delivering quality support — thereby enhancing their perception of your brand. Plus, if the company you’re eyeing is willing to work with your employees to enhance your fulfillment program, from managing call volume to the delivery of orders, then that candidate has the makings of a partner. To ensure your vendor is being managed efficiently and goals are met, it’s important to define early on your reporting structure and who’s responsible for specific tasks and responsibilities. With that in mind, create a map or diagram of each department and outline how specific processes are handled. Additionally, communicate with your vendor about any changes in management and offer to answer any questions that may arise. In business, it can sometimes be difficult to define individual roles and responsibilities. Many employees wear several different hats, completing jobs outside the initial range of their job description. With this in mind, you’ll want to designate specific departments or individuals to maintain contact with your third-party customer service provider. If your company lacks sufficient staff to manage these relationships, in addition to maintaining the services still provided in-house, then you run the risk of making mistakes or overlooking pertinent details, both of which can result in major problems like missed deadlines or service interruptions. No business can afford to make that mistake. Most business leaders would agree that when conducting a large-scale business transformation, a contract with a single vendor makes the most sense. However, to afford greater flexibility, consider structuring the contract as a series of smaller ones within the official contract. You’ll want to carefully illustrate the responsibilities, roles, expectations and payment within each of the stages developed in the contract, as well as review contracts regularly to ensure all parties understand their roles and responsibilities. 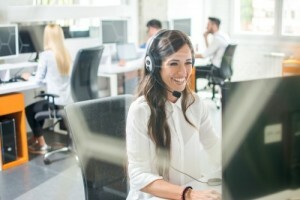 Through it all, there are many benefits to outsourcing your company’s call center needs, as doing so can reduce labor costs, improve coverage, grant access to skilled workers, and improve revenue. However, these advantages are only realized when outsourcing is initiated and maintained carefully. Like anything in business, outsourcing isn’t without risk, but if you outsource your call center for the right reason and follow the best practices detailed here, then it can certainly be the answer to your call center needs. The Challenge of an Entrepreneur!